SAN RAFAEL, Calif. (KGO) -- All lanes have reopened on Highway 101 through San Rafael following an all-night investigation into a deadly crash. Just before 11:30 p.m. Monday, the CHP got reports of a wrong way driver going north in the southbound lanes near the Central San Rafael exit. 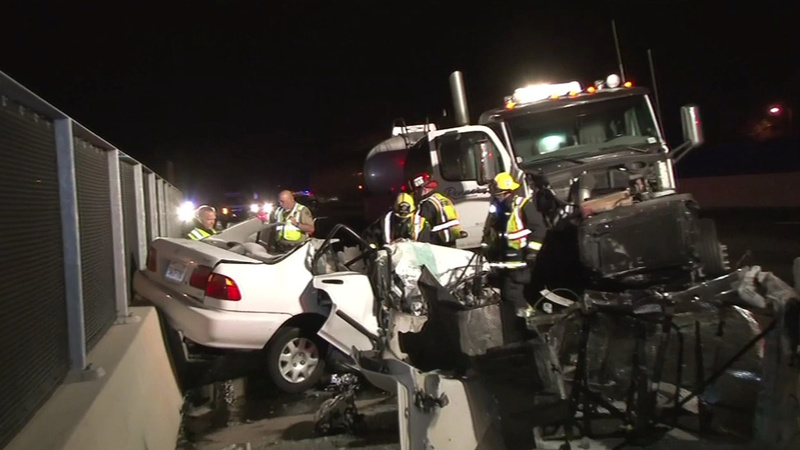 The driver crashed head-on into a fuel tanker and died at the scene. The truck driver managed to get out unharmed, even though the cab was severely damaged. Crews worked to clean up the mess in time for the commute.